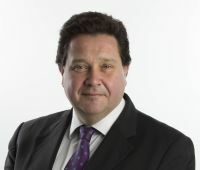 Paul Simmons joined Flybe in October 2013 following more than seven years at easyJet where, since January 2009, he was responsible for commercial performance as Director, UK Markets. His CV includes senior positions at two major international hotel groups, Intercontinental and Oberoi. Boosting connectivity between the UK regions and Ireland, to and from London, is high on Flybe’s agenda throughout 2014 and beyond. Our renewed focus has been on the Capital following our announcement in April that we’ve entered a five-year agreement with London City Airport. This agreement will see Flybe provide domestic and international operations in and out of London City Airport, commencing on 27 October with seven new routes. We anticipate flying more than 500,000 passengers annually on the routes to Aberdeen, Amsterdam, Belfast City, Dublin, Edinburgh, Exeter and Inverness. For customers whose travel plans are time-critical, Flybe's new services from London City will prove especially convenient, being overall significantly faster than travelling via Heathrow, Luton or Gatwick, or travelling by road, rail or ferry. We’re expecting the new routes to appeal to a significant number of business passengers in London who need access to the UK regions quickly and efficiently. Business friendly capacity is key across our bases; we’re particularly excited to be flying direct from Birmingham to Berlin Tegel, the German capital’s most convenient airport that’s only eight kilometres from the heart of the city’s downtown business district. Flybe also recently announced daily flights between Manchester and Amsterdam using the 88-seat Embraer 175 jet aircraft from October 2014. Furthermore, as part of our strategy to position Flybe as Europe’s leading regional airline, we’re equally committed to connecting the regions to the Capital and beyond, with a range of affordable and high quality direct air services. A large proportion of our passengers live outside of London and the south east; historically these areas are poorly served by the dense domestic and international networks that the Capital’s airports support. For these passengers, high speed rail links are neither convenient nor practical. The strength of our network is in the UK’s regions and we believe high quality air service connectivity is a fundamental component to those parts of the UK located outside the M25. 80% of the UK’s GDP is generated outside of the Capital, and regional access to the wider country should be a key enabler to the re-balancing of the UK economy. For the oil worker who lives in the south west, for example, and commutes every four to six weeks to a job in Aberdeen, there is no practical alternative to flying. Similarly, for a businessman travelling between Edinburgh and Birmingham or Norwich and Manchester for meetings, both rail and road offer notoriously slow journeys; as does the ferry (which in the winter can often be disrupted by poor weather in the Irish Sea). The student or family relative needing to get between Belfast and Manchester at a weekend likewise faces a challenging journey by road, rail and sea. For the millions of UK passengers who make such journeys each year, Flybe provides a lifeline; it is important that regional connectivity is recognised as a key component in UK aviation. We, therefore, pride ourselves on not considering regional air transportation to be a casual after-thought, a luxury or insignificant (as can be its positioning by some interest groups in the aviation debate). Our London City Airport expansion is a significant landmark in the re-birth of Flybe; the announcement to operate from London's most convenient airport came following a rigorous profitability analysis utilising our strict route assessment model. We’re initially dedicating six aircraft to these new routes which is a major statement of intent and I look forward to building a successful and growing presence there over the coming years. With the inaugural London City flights nine weeks away, we’re gearing up for an extremely exciting period within the business. London City Airport is of vital importance to our growth in the coming months and years. The airport is poised for significant growth in the next ten years – growth that will see it achieve 120,000 flight movements per annum, with an associated six million passengers by 2023.